This article was published in Dutch in Tijdschriftvoor Bedrijfs-en Verzekeringsgeneeskunde (Journal for Occupational Health- and Insurance Physicians), TBV 16, no. 11 (Nov. 2008): 396-399. Publisher: Bohn Stafleu Van Loghum, Houten, The Netherlands. The editor agreed with translation and publication on this website. Related book: Gifted workers: Hitting the target by Noks Nauta, Sieuwke Ronner (April, 2016). Up until then, little had been published on the subject of giftedness and work, even outside the Netherlands. The article thus provoked many responses. What particularly caught people’s attention was the table presenting side by side two perceptions of problems encountered by the gifted in fitting in with their environment: one from the perspective of the gifted employee and one from that of his/her environment. On various occasions, we heard that both employee and employer literally acknowledged ALL the points! Additionally, many occupational health physicians were able to better recognise gifted individuals by using this table, thereby enabling them to provide more effective guidance. As a source of information and as an aid to recognition, the article continues to prove its worth. In the last six years, increasing attention has been focused on this subject, for example for gifted children in education. One result of this is that some parents come to discover that they too are gifted. And with the founding of various think tanks and the attention being paid to retaining special talents for industry, the subject is now on the political agenda. However, until fairly recently, many misconceptions existed concerning what giftedness actually is. Additionally, the image of gifted individuals was not always a positive one. In this article, we will discuss briefly the results of this study, with the emphasis on the relation between the gifted individual and the work environment. We will then provide a number of practical tips for the occupational health- and insurance physician, based on the current state of knowledge and experiences. We will also briefly discuss the guidance offered by psychologists and other professionals. And finally, we will describe what the gifted individuals can do for themselves. Knowledge of the interaction between a favourable or unfavourable work environment and the gifted employee is of great importance if a clear problem analysis and effective guidance is to be achieved. In practice, various definitions of giftedness exist, a fact which has not made the communication concerning giftedness any easier. Differences in insights were often linked to the question of whether the diagnosis of gifted referred only to the IQ (the top 2% of the scores in a valid IQ test) or whether the person being assessed was required to achieve high-level performances. In other words, is it possible for someone with no educational qualifications, and who has not produced any tangible achievements (e.g. playing the violin exceptionally well), or who does not occupy a good social position, to still be called gifted? 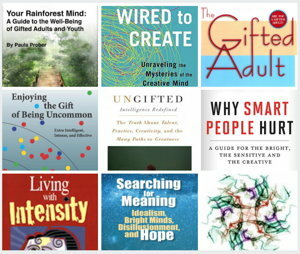 For this reason, in the Netherlands throughout the year 2006/2007, a national consensus trajectory was carried out regarding what a group of experts (people who are themselves gifted and who also work with the gifted, including psychologists, coaches and career coaches, occupational health physicians, and a psychiatrist), precisely consider to be giftedness. A gifted individual is a quick and clever thinker, who is able to deal with complex matters. Autonomous, curious and passionate. A sensitive and emotionally rich person, living intensely. He or she enjoys being creative. In the above-mentioned study, attention was paid to the naming of the specific characteristics of gifted individuals who are in balance. When the gifted individual is in a situation in which he or she is not able to effectively deal with his or her characteristics, skewed growth may occur, leaning in the direction of an exaggeration or collapse. It is possible for gifted individuals to make a contribution to work processes through their characteristics (their talents), provided that their talents and their contributions are also seen to be positive, and provided that they do not grow skewed, through, among other things, insufficient appreciation or non-professional guidance. We’re talking here about an ideal typical character. The gifted individual doesn’t exist (just as the American or the European doesn’t exist), and gifted individuals also differ amongst themselves. The model is not intended to be used as a measure or for making diagnoses. She explains that the model is primarily intended for the gifted individuals themselves to help them develop a more balanced self-image and to identify their own potential, pitfalls and learning points. Additionally, the model can be used outside the group of gifted individuals, for example for occupational health professionals and coaches and/or career coaches. And it may be used for PR purposes to rectify the occasionally one-dimensional (and often negative) image of gifted individuals. 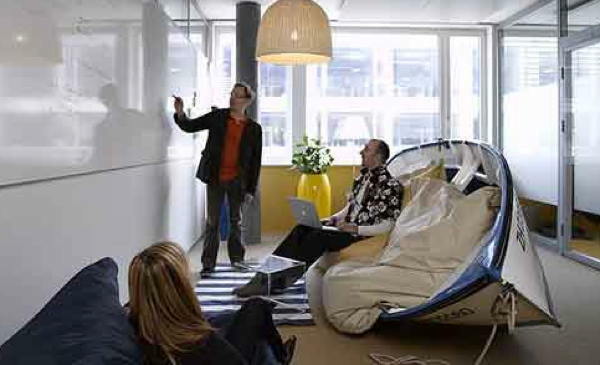 With their creative talents, gifted individuals can make a useful contribution to innovations within organisations. In the article Gifted employees, key to innovation , we suggest that gifted individuals possess many more creative possibilities than the averagely gifted person. In Table 1 we show why gifted individuals are able to contribute effectively to innovation. Table 1 – How do gifted individuals contribute to innovation? The gifted individual can easily identify the relationships between goals, missions and assignments. The gifted individual has the ability to focus intensely on the content. Arguments based on content are key. Habits, traditions and social pressure are quickly spotted. If these seem to be in conflict with the content, they are discarded as being irrelevant. Thinking out of the box is second nature to them. Switching between one’s own professional area and other disciplines is no problem at all. The opinion of a formal authority does not weigh any heavier than the opinion of another party. Information from others is checked against one s own experience or against other information. The gifted individual has a high degree of commitment and passion. Existing protocols, structures and approaches are only followed if they appear to be effective and are well-founded. A customized solution is sought for each individual situation, often when this has not been requested. ‘Standard problems’ are also approached in this way. power and influence can be acquired through expertise, dedication and success (or, at most, through personality, expertise and outstanding performances). Occupational health- and insurance physicians appear on the scene only when an imbalance has resulted in sickness symptoms becoming evident. We often see stress arise as an expression of problems experienced by the gifted individual in adjusting to his or her work environment. That may have something to do with the nature of the work: the work might be too routine, or offer too little of a challenge. In that case, the gifted employee will typically be located in a situation where he or she will be unable to make optimal use of his or her talents. But a contributory factor may also be the relations at work. Some managers might feel threatened, or colleagues might consider the gifted individual to be a know-it-all . Problems encountered in fitting in with the environment can be identified if a physician realises that in many work situations there is a huge difference between the IQ of the gifted individual and that of the other employees. Gifted individuals are able to think more quickly, can analyse well, understand complex situations, and therefore they will appear at the frontline relatively quickly. Additionally, their areas of interests can diverge strongly from others, as can their type of humour. At the same time, it is useful to realise that many gifted individuals have felt that they were different from a young age and therefore feel isolated more quickly than the average classmate or colleague. Some will also have been bullied due to their being different . If being gifted plays a role in the occurrence of health complaints and incapacity to work, it is important that this is acknowledged at an early stage. An employee with innovative ideas may have fallen into the pitfall of nagging or knowing it all and as a result may have come into conflict with colleagues or superiors. By acknowledging this mechanism, in which a talent has become a pitfall, the occupational physician can contribute to raising awareness in both the gifted individual and his/her superior. A few clarifying or coaching talks can often work wonders, in our experience! On the internet you can find various articles and different portals in this area, such as (in Dutch) www.hoogbegaafd-en-werk.nl and www.hoogbegaafd.startpagina.nl. When the employee suffers from serious complaints or if the problematic situation is of a persistent nature, a referral to a psychologist or a psychotherapist may be useful. Gifted individuals feel more comfortable with practitioners that are familiar with giftedness as well as having an affinity with it. We will now summarize a number of issues that are of importance for the practice of occupational- and insurance physicians. How can giftedness be recognised? If an employee arrives at your consulting room how do you recognise the above-mentioned characteristics of giftedness? produces unorthodox solutions that are not generally accepted (sparkling original). Gifted individuals suffer relatively often from stress and burn-out. Factors that can be of influence here are the nature of the work (sufficient challenge), the degree of autonomy and the defining of borders. Gifted employees are especially passionate and have the tendency to insufficiently specify their own limits. Bullying, or other forms of aggression: because a gifted individual does not fit the requirements of the average employee. As a result, fear/anxiety disorders may arise. Depressive feelings often start at an early age. Gifted individuals can therefore more easily feel lonely and isolated. Fear of failure as a result of setting the bar high and the tendency to perfectionism. The gifted individual can come across as having ADHD. The combination of giftedness and ADHD is not uncommon. Gifted individuals have a high sensitivity for odours and sounds. They more quickly experience certain circumstances as being a hindrance. The theme of gifted adults in the work situation has hardly been an issue for the professional group of psychologists up till now. Although the number of preconceptions about giftedness is on the decrease, it would appear that many psychologists are still insufficiently aware of the characteristics, talents and pitfalls of gifted individuals, and the interaction between these characteristics and the work situation. Additionally, the focus remains strongly on the individual, with little involvement on the part of the employer. The content of the work and the mutual relations can however be just as obstructive for the functioning of the gifted employee. This demands more deliberation between the various professionals themselves, the employer and the gifted employee. We therefore recommend setting up the plan of approach in joint discussion with the employer, employee and occupational health physician (in collaboration with other relevant professionals). Agreements concerning the guidance and the expected results of a re-integration trajectory are then specified and registered. These are evaluated at the end of the guidance period. To achieve an effective collaboration between work environment and the gifted employee, the gifted individual must obviously take action himself/herself. The book describes eleven examples of gifted adults in search of their own path, after having been blown off course in their work and/or their private lives. The most important focus point is to keep the balance of the many talents of being gifted and to make these talents visible in connection with the work environment. a work environment in which their talents are given the place they deserve. For gifted individuals, a workspace offering the freedom to explore and fostering creativity is favourable for them to be able to display their talents. If there is no positive interaction between the gifted employee and the work environment, a moment can arise when the balance between talents and pitfalls is disturbed. Occasionally, the gifted employee succeeds in re-establishing the connection with himself/herself and the work environment all on their own, and sometimes professional help is required. Although more attention is now being paid to gifted employees, there is still not much known about specific characteristics of giftedness and its significance for the work situation. Gifted individuals can be exceptionally useful for companies and organisations, provided that their talents are acknowledged and made use of. If the gifted employee is in danger of missing the boat, we make a plea for focussing attention particularly on the specific talents of the gifted individual and how this can be effectively made use of in the work situation. We observe that there is a tendency for the problem to be individualised or medicalised. The interaction between the organisation and the gifted employee deserves more attention, in our opinion. 1. Nauta N, Corten F. Hoogbegaafden aan het werk. (Gifted adults in work.) Tijdschr Bedrijfs Verzekeringsgeneeskd (Journal for Occupational Health- and Insurance Physicians) 2002; 10(11): 332-335. This article is available in both Dutch and Polish versions from the first author. 2. Kooijman-van Thiel MBGM (red). Hoogbegaafd. Dat zie je zó! Over zelfbeeld en imago van hoogbegaafden. (Highly Gifted. Obvious? On Identity and Image of Gifted Persons) Ede: OYA Productions, 2008, ISBN 978 90 9023526 4. 3. Mary-Elaine Jacobsen. The gifted adult. Ballantine Books, 2000, ISBN 0 345 43492 7. 4. Corten FGP, Nauta AP, Ronner S. The highly intelligent and innovation. Key to innovation? Academic paper for HRD conference Amsterdam, October 2006. See websites www.werkenwaarde.nl, www.noksnauta.nl and www.meriones.nl. 5. Geffen G van. Mensalen and the organisation culture types of Harrison. Article in Mensaberichten 2000. 6. Noks Nauta and Sieuwke Ronner. Unguided missiles on course. 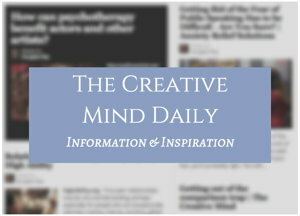 Working and living with giftedness. Harcourt Book Publishers, June 2007. ISBN 978 90 26517990. Ms Noks Nauta is an occupational health physician and a psychologist. She works as a freelance trainer and teacher, amongst others, in the field of the gifted. www.noksnauta.nl. Ms Sieuwke Ronner is a clinical psychologist and organisational expert. She supervises change trajectories in companies, gives training courses and coaches gifted individuals. www.meriones.nl. CORRESPONDENCE ADDRESS – Email: info@noksnauta.nl. Article published here with kind permission of author Noks Nauta. 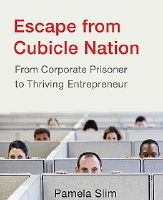 More about book Escape from Cubicle Nation in The Inner Entrepreneur post Pamela Slim on Excuses People Use To Stay at a Job.